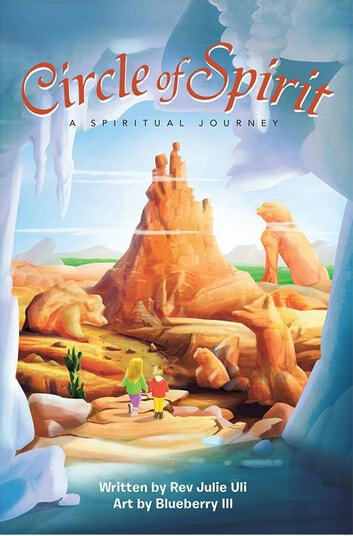 Circle of Spirit originated in a dream in 1995. Bear came to me in my dreams, and told me there was a book inside of me that needed to come into this world. Not ever considering the possibility that I would or could do this feat, I felt I must give it a try. The very next morning I sat at my desk and the book flowed. I knew the time was right to publish this book now. I have grown much with this writing, and I am deeply humbled and amazed at the same time. Circle of Spirit is a magical book and I hope you are able to resonate with it in this way. In this writing lie many opportunities to open up dialogue with the children of this world. As our world changes, we will be privileged to bear witness to a rebirthing of a new civilization. I have seen the new age of technology and consciousness evolve, and I am in awe. Our children have only known this hi-tech world, and just for this, they are exceptional! They will face challenges though, in the healing of our planet and its beings. If Circle of Spirit touches you and helps in any way, this writing will have served a powerful purpose.